PHASE 1: The construction of the purposely built unit. PHASE 1: The Atorkor Development Foundation (ADF) started the construction of the building for the Medical laboratory at the Atorkor community clinic in August 2015. The project was awarded to the Masonry department of the Foundation’s Vocational School, the Atorkor Vocational Training Institute (AVTI). It is being carried out by the students under the strict guidance of their tutors. The team has been involved in planning the time schedule, working out labour costs, drawing up the initial plan with their ideas attached. This was then drawn up and agreed by the Trustees of the ADF in the UK. The project is being overseen by ADF builder to ensure that it meets the very high ADF standard. The building is almost completed. The outstanding works are the installation of the internal doors and plumbing. 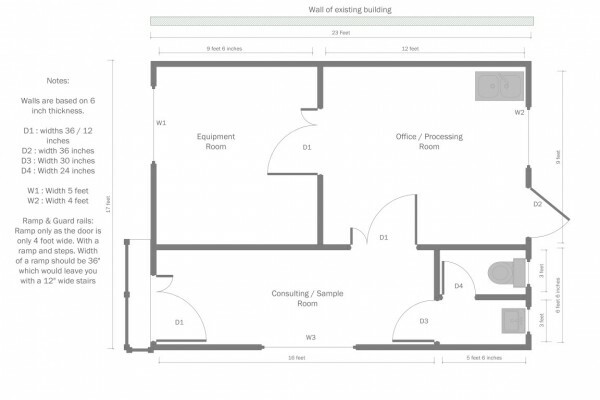 The building consists of 3 rooms, Consulting/Sample, Equipment and office/processing. A toilet and washroom area is also provided. The students are enjoying seeing the project develop; they have gained so much experience and have done a fantastic job so far. This phase of the project has been jointly funded by the ADF and the Central Baptist Church, Chelmsford, UK (CBCC) who donated £7,000.34. The funds were raised during the 2014 Christmas appeal by the Church. PHASE 2: The ADF has applied to a UK London based Family Foundation, for a grant to equip the Laboratory. Next step employing a Lab Technician, watch this space…….. The lack of medical laboratory at the ADF clinic in Atorkor is really hampering the provision of diagnostic and antenatal care services. Currently, patients needing laboratory services have to travel 27 kilometres to Keta Hospital as the nearest one at a Health Centre about 7 kilometres away cannot cope with the demand. The ADF is ready to start the provision of a midwife-led maternity service at the clinic to provide a safe environment for patients to reduce the high maternal mortality. The ADF has already trained a midwife. 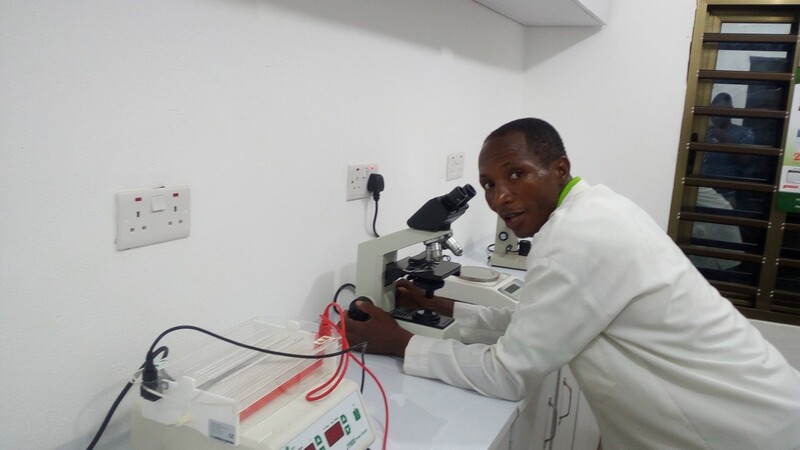 Hence, the laboratory is very essential and will enhance the services being provided by the clinic. The ADF hopes to commission the laboratory in late 2016. ADF UK and Ghana would like to thank the CBCC and all those who have contributed so far towards this vital project.